Until recently, all Central American countries have maintained diplomatic relations with Taiwan instead of China. President Óscar Arias of Costa Rica, however, established diplomatic relations with China in 2007, severing formal diplomatic ties with Taiwan. After breaking off relations with the Republic of China in 2017, Panama established diplomatic relations with the People's Republic of China. In August 2018, El Salvador also severed ties with Taiwan to formally start recognizing the People's Republic of China as the sole China, a move many considered lacked transparency due to its abruptness and reports of the Chinese government's desires to invest in the department of La Union while also promising to fund the ruling party's reelection campaign. Costa Rica ( (listen); Spanish: [ˈkosta ˈrika]; literally "Rich Coast"), officially the Republic of Costa Rica (Spanish: República de Costa Rica), is a country in Central America, bordered by Nicaragua to the north, the Caribbean Sea to the northeast, Panama to the southeast, the Pacific Ocean to the southwest, and Ecuador to the south of Cocos Island. It has a population of around 5 million in a land area of 51,060 square kilometers (19,714 square miles). An estimated 333,980 people live in the capital and largest city, San José with around 2 million people in the surrounding metropolitan area.The sovereign state of Costa Rica is a unitary presidential constitutional republic. It is known for its long-standing and stable democracy, and for its highly educated workforce, most of whom speak English. The country spends roughly 6.9% of its budget (2016) on education, compared to a global average of 4.4%. Its economy, once heavily dependent on agriculture, has diversified to include sectors such as finance, corporate services for foreign companies, pharmaceuticals, and ecotourism. Many foreign manufacturing and services companies operate in Costa Rica's Free Trade Zones (FTZ) where they benefit from investment and tax incentives.Costa Rica was facing a market liquidity crisis in 2017 due to a growing debt and budget deficit. By August 2017, the Treasury was having difficulty paying its obligations. Other challenges facing the country in its attempts to improve the economy by increasing foreign investment include a poor infrastructure and a need to improve public sector efficiency.Costa Rica was sparsely inhabited by indigenous peoples before coming under Spanish rule in the 16th century. It remained a peripheral colony of the empire until independence as part of the First Mexican Empire, followed by membership in the United Provinces of Central America, from which it formally declared independence in 1847. Since then, Costa Rica has remained among the most stable, prosperous, and progressive nations in Latin America. Following the brief Costa Rican Civil War, it permanently abolished its army in 1949, becoming one of only a few sovereign nations without a standing army.The country has consistently performed favorably in the Human Development Index (HDI), placing 69th in the world as of 2015, among the highest of any Latin American nation. It has also been cited by the United Nations Development Programme (UNDP) as having attained much higher human development than other countries at the same income levels, with a better record on human development and inequality than the median of the region.Costa Rica also has progressive environmental policies. It is the only country to meet all five UNDP criteria established to measure environmental sustainability. It was ranked 42nd in the world, and third in the Americas, in the 2016 Environmental Performance Index, and was twice ranked the best performing country in the New Economics Foundation's (NEF) Happy Planet Index, which measures environmental sustainability, and was identified by the NEF as the greenest country in the world in 2009. Costa Rica plans to become a carbon-neutral country by 2021. By 2016, 98.1% of its electricity was generated from green sources particularly hydro, solar, geothermal and biomass. 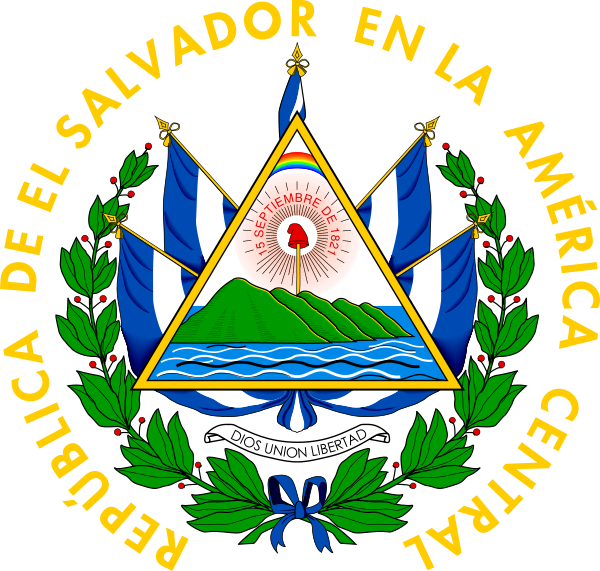 El Salvador ( (listen); Spanish: [el salβaˈðoɾ]), officially the Republic of El Salvador (Spanish: República de El Salvador, literally "Republic of The Savior"), is the smallest and the most densely populated country in Central America. It is bordered on the northeast by Honduras, on the northwest by Guatemala, and on the south by the Pacific Ocean. El Salvador's capital and largest city is San Salvador. As of 2016, the country had a population of approximately 6.34 million.El Salvador was for centuries inhabited by several Mesoamerican nations, especially the Cuzcatlecs, as well as the Lenca and Maya. In the early 16th century, the Spanish Empire conquered the territory, incorporating it into the Viceroyalty of New Spain ruled from Mexico City. However the Viceroyalty of Mexico had little or no influence in the daily affairs of the Central American isthmus, which would be colonized in 1524. In 1609 the area became the Captaincy General of Guatemala, from which El Salvador was part of until its independence from Spain, which took place in 1821, as part of the First Mexican Empire, then further seceded, as part of the Federal Republic of Central America, in 1823. When the Republic dissolved in 1841, El Salvador became a sovereign nation, then formed a short-lived union with Honduras and Nicaragua called the Greater Republic of Central America, which lasted from 1895 to 1898.From the late 19th to the mid-20th century, El Salvador endured chronic political and economic instability characterized by coups, revolts, and a succession of authoritarian rulers. Persistent socioeconomic inequality and civil unrest culminated in the devastating Salvadoran Civil War (1979–1992), which was fought between the military-led government and a coalition of left-wing guerrilla groups. The conflict ended with the Chapultepec Peace Accords. This negotiated settlement established a multiparty constitutional republic, which remains in place to this day. Hurricane Michael was the first Category 5 hurricane to strike the contiguous United States since Andrew in 1992. In addition, it was the third-most intense Atlantic hurricane to make landfall in the contiguous United States in terms of pressure, behind the 1935 Labor Day hurricane and Hurricane Camille of 1969. It was the first Category 5 hurricane on record to impact the Florida Panhandle, and was the fourth-strongest landfalling hurricane in the contiguous United States, in terms of wind speed. The thirteenth named storm, seventh hurricane, and second major hurricane of the 2018 Atlantic hurricane season, Michael originated from a broad low-pressure area that formed in the southwestern Caribbean Sea on October 1. The disturbance became a tropical depression on October 7, after nearly a week of slow development. By the next day, Michael had intensified into a hurricane near the western tip of Cuba, as it moved northward. The hurricane strengthened rapidly in the Gulf of Mexico, reaching major hurricane status on October 9. As it approached the Florida Panhandle, Michael had reached Category 5 status with peak winds of 160 mph (260 km/h) just before making landfall near Mexico Beach, Florida, on October 10, becoming the first to do so in the region as a Category 5 hurricane, and as the strongest storm of the season. As it moved inland, the storm weakened and began to take a northeastward trajectory toward Chesapeake Bay, weakening to a tropical storm over Georgia, and transitioning into an extratropical cyclone over southern Virginia late on October 11. Michael subsequently strengthened into a powerful extratropical cyclone and eventually impacted the Iberian Peninsula, before dissipating on October 16. At least 74 deaths had been attributed to the storm, including 59 in the United States and 15 in Central America. Hurricane Michael caused an estimated $25.1 billion (2018 USD) in damages, including $100 million in economic losses in Central America, damage to U.S. fighter jets with a replacement cost of approximately $6 billion at Tyndall Air Force Base, and at least $6.23 billion in insurance claims in the U.S. Losses to agriculture alone exceeded $3.87 billion. As a tropical disturbance, the system caused extensive flooding in Central America in concert with a second disturbance over the eastern Pacific Ocean. In Cuba, the hurricane's winds left over 200,000 people without power as the storm passed to the island's west. Along the Florida panhandle, the cities of Mexico Beach and Panama City suffered the worst of Michael, with catastrophic damage reported due to the extreme winds and storm surge. Numerous homes were flattened and trees felled over a wide swath of the panhandle. A maximum wind gust of 139 mph (224 km/h) was measured at Tyndall Air Force Base near the point of landfall. As Michael tracked across the Southeastern United States, strong winds caused extensive power outages across the region. This is a list of countries by public debt to GDP ratio as listed by CIA's World Factbook and IMF. Net debt figure is the cumulative total of all government borrowings less repayments that are denominated in a country's home currency. 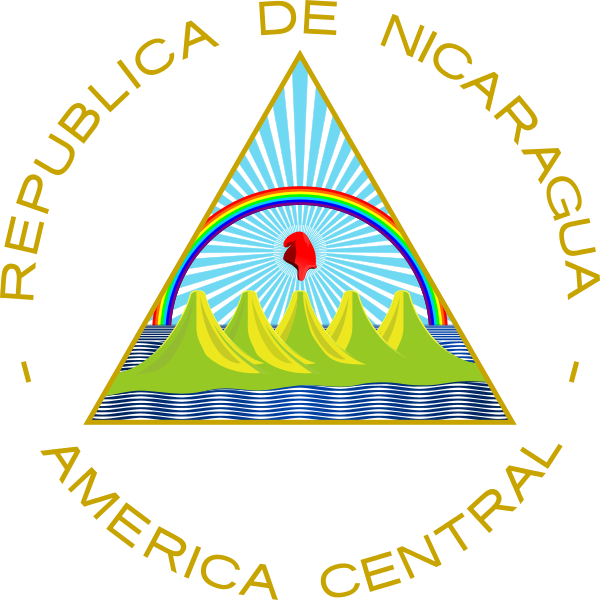 Nicaragua ( (listen); Spanish: [nikaˈɾaɣwa]), officially the Republic of Nicaragua (Spanish: República de Nicaragua ), is the largest country in the Central American isthmus, bordered by Honduras to the northwest, the Caribbean to the east, Costa Rica to the south, and the Pacific Ocean to the southwest. Managua is the country's capital and largest city and is also the third-largest city in Central America, behind Tegucigalpa and Guatemala City. The multi-ethnic population of six million includes people of indigenous, European, African, and Asian heritage. The main language is Spanish. Indigenous tribes on the Mosquito Coast speak their own languages and English. Operation Enduring Freedom (OEF) was the official name used by the U.S. government for the Global War on Terrorism. On October 7, 2001, in response to the September 11 attacks, President George W. Bush announced that airstrikes targeting Al Qaeda and the Taliban had begun in Afghanistan. Operation Enduring Freedom primarily refers to the War in Afghanistan, but it is also affiliated with counterterrorism operations in other countries, such as OEF-Philippines and OEF-Trans Sahara.After 13 years, on December 28, 2014, President Barack Obama announced the end of Operation Enduring Freedom in Afghanistan. Continued operations in Afghanistan by the United States' military forces, both non-combat and combat, now occur under the name Operation Freedom's Sentinel. The papaya (, US: ) (from Carib via Spanish), papaw () or pawpaw () is the plant Carica papaya, one of the 22 accepted species in the genus Carica of the family Caricaceae. Its origin is in the tropics of the Americas, perhaps from southern Mexico and neighboring Central America.